Jeff Slabe, Director of Infinity Insurance Advisers, is a highly experienced Life and General Insurance Adviser. 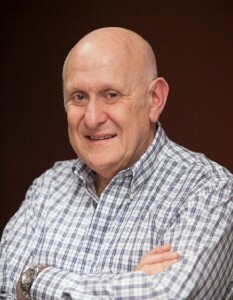 He has worked in the financial services industry for over 40 years. He endeavours to understand clients’ needs and can tailor insurance programs for businesses and individuals across a wide range of occupations and industries throughout Australia. Personal insurance – including life, trauma and disability & income protection. General insurance – from basic home and contents to complex liability covers. Including but not limited to Business Insurance, Industrial Special Risk (ISR) and Marine. Jeff & Infinity Insurance Advisers are passionate about getting claims paid out and pride themselves on being able to provide certainty for their clients at a time when they need it most. Jeff is a proud father of four and grandfather of five. He is a patron of Royal Children’s Hospital (RCH100). I enjoy spending time with my four children and their families.